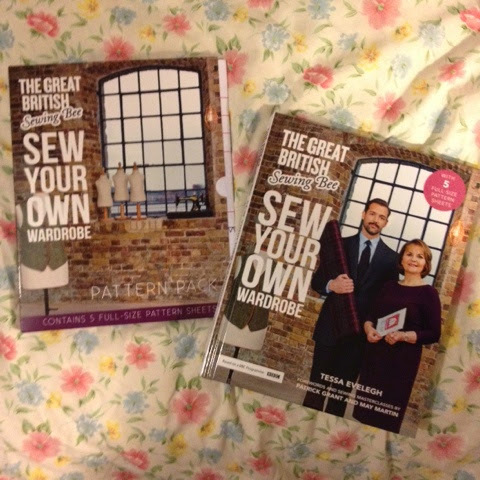 I'm continuing to thumb my way through the pages of the Sewing Bee 'Sew Your Own Wardrobe' book. I loved the box pleat skirt challenge that May and Patrick set early on in the series, so I thought I'd have a go for myself. 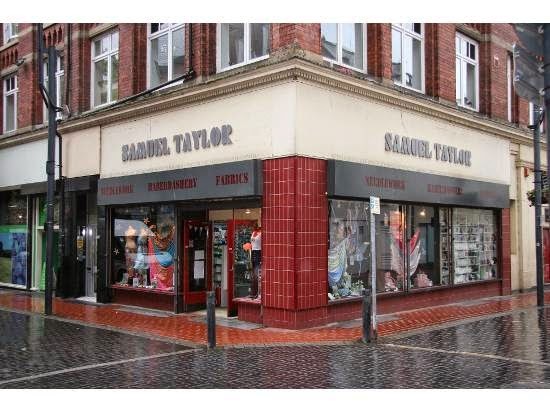 I went to Samuel Taylors (a fab haberdashery in Leeds, not too far from the Corn Exchange for those familiar with the city) to pick up supplies. They have a basement full of beautiful fabrics to browse and buy. I picked up a lovely medium-weight grey fabric for the box pleat skirt, and I have my eye on a few others for future projects. After last time's mis-measure I decided to make the skirt up in size 12 measurements, and luckily it fitted perfectly without needing any adjustments. A bit of tailors chalk and a hot iron sorted my box pleats, and I think I've just about mastered the lapped zip - though I did end up inserting it in the wrong side, oops! It only took me a Sunday afternoon and evening to make, and just a little while the next day to finish the hem. 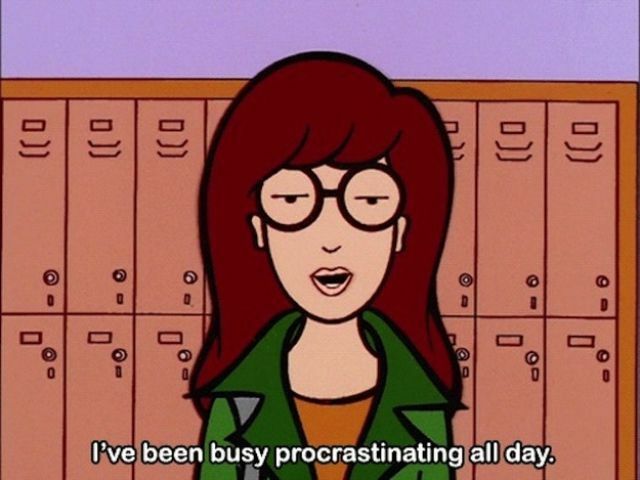 I'm channelling my inner Daria here in the finished skirt with super chunky Dr Marten's (that I've yet to wear in). I can do girly too! 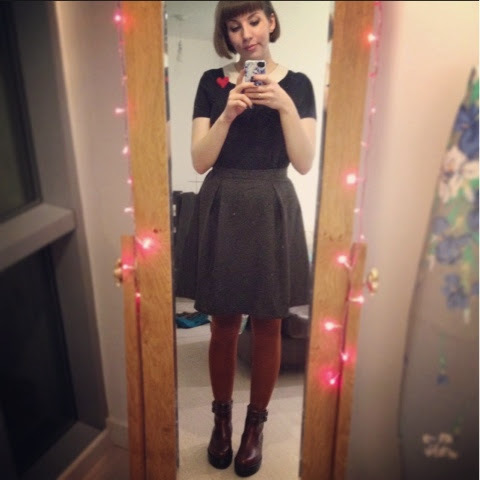 Worn below with a vintage silk blouse I got from Stockport Vintage Village Fair a while back. 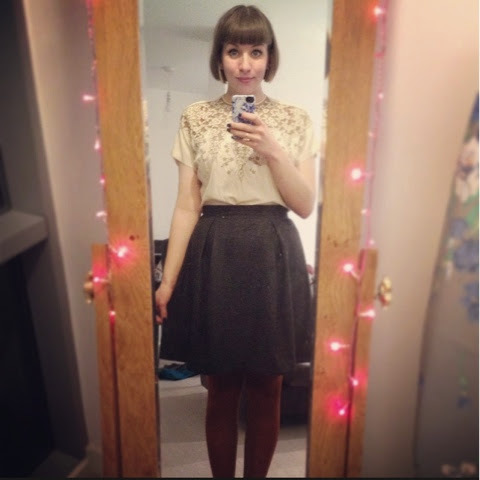 It's such an easy skirt to wear, and pretty simple to make too - I'd definitely recommend giving it a go. The only thing I'd do differently is to use a medium-weight interfacing on the waistband rather than the recommended lightweight - it squashes up and creases a bit too much when sitting down. Ready for the next challenge... Perhaps it's time to try a top or a dress.